Icelanders may have been among the biggest losers of the financiapocalypse, but a couple banks down the drain sure didn’t snuff out their love of interesting cars. 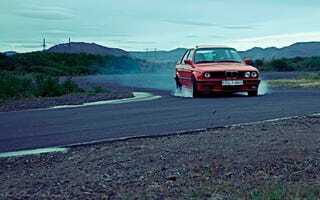 Take this BMW E30, for instance. It’s a 325i coupé, produced between 1984 and 1991 as the most powerful inline 6 cylinder model in the E30 lineup, and it’s lived in Iceland for six years. Those of you super-interested in the painstaking attention to aftermarket detail lurking beneath its skin will find everything on photographer Sindri’s page, but for those of you wondering about the rather lopsided headlight arrangement, here’s the quick answer: when this Bimmer is taken out to play, the owner removes one of the lights to feed more air into the engine.